Eye-grabbing interior signs are possible with today's materials and technology! 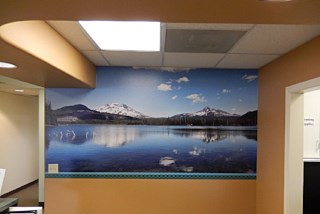 From lobby signs to wall graphics and murals to ADA signs to suite signs, we can easily customize your interior signage. 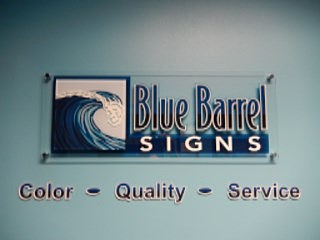 Exterior signs, building signs and freestanding signs are the face and brand of your business. From illuminated channel letters to non-lit dimensional letters, lightbox cabinet signs and more, we can help you with your exterior signs. It can be a real competition to get noticed at a trade show full of exhibitors. We’re here to help. Let us help you with your next trade show with a professionally designed trade show display. Whether you need campaign signs or contractor yard signs for you job sites, we can help you. 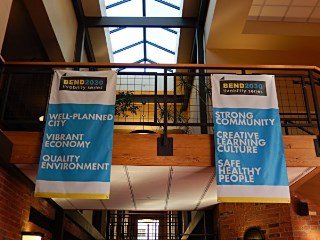 Banners can be used indoors or outside. They are economical signs for temporary use. 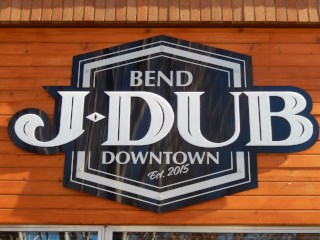 Buy the Best Vinyl Banners in Bend Oregon at Blue Barrel Signs! 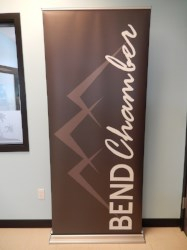 Learn why we are the best sign shop for vinyl banners in Bend Oregon! The trade show season is coming up! Are you ready? See how we can help! 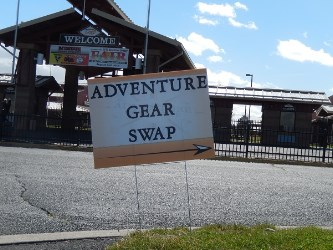 Check out some of these unique uses for vinyl lettering! From windows to doors to vehicles! When Trinity Episcopal Church's sign needed an update, we were happy to help! If you are looking for top-quality signage, you have come to the right place. 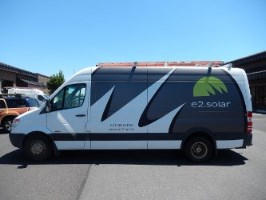 Through our website, you’ll be able to request an estimate, place an order and learn about the products and services we offer. An easy-to-use pulldown menu, search utility and link to our contact form appear on each page to help you find the information you need as quickly and easily as possible. We hope you enjoy your time here. If there is anything we can do to improve, please let us know. We are always looking for ways to better serve our customers. Contact us today and let us know what we can do to help you.